New RTA and Regional Maps dated October 2018 are out. It seems like Pace usually updates the map before CTA does. I see the new map shows the long term detour on 313. You can pick them up at Union Station by Metra. There is a rack there that has them. The update cycles are completely independent of each other, so sometimes CTA will be ahead and sometimes RTA will. 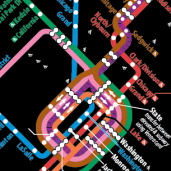 RTA is driven primarily by map stock levels, while CTA sometimes times a map to show a big service change. 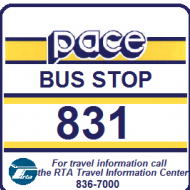 I was referring to when the RTA System map, which is available through the RTA, CTA, and Pace sites, is posted on each of those sites in relation to each other. I didn't know that RTA map updates were timed based on "map stock levels", so I guess that explains why they are so inconsistent.